I'm not going to bore you with an exhaustive recounting of our trip to Turkey (if you'd like to see a larger set of photos, including tourist things, I have some up on Flickr), but I thought this blog's readership might be interested in traditional wooden Turkish houses. 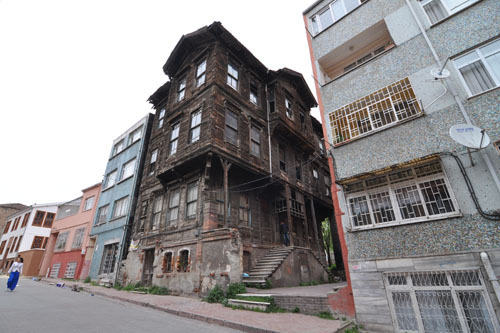 Most of the existing, surviving wooden houses in Istanbul are Victorian-era (I don't have dates for any of these, but this is what local historians tell me). This one above is a particularly nicely restored house. 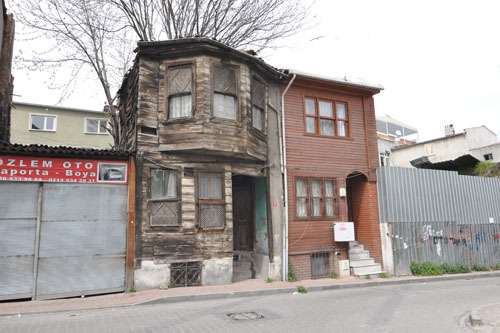 Notice the overhanging bays -- like in San Francisco, in Istanbul you were allowed to build your house out over the public street above a certain height. On very narrow streets, this can create an almost oppressive darkness overhead. One thing that is very different in Turkey is that most people live in what we would consider multi-family homes (though in many cases the multiple families are related to each other). So a large house like this was built divided into several smaller apartments, rather than being built as a single family home and divided up to create rental income. The wooden houses went out of fashion some time ago, and most of the stock is badly neglected. If they were ever painted -- many were originally just sealed wood -- then any finish has worn off over time and the houses are staying up thanks mostly to Turkish ingenuity and repair skills. This one has had its wood seal kept up over time, so it is in pretty good shape. But you can see what they were replaced with: taller, concrete apartment blocks with shops on the ground floor. People liked those because they were easier to maintain, and didn't burn down easily (Turkish wiring is sometimes straight-up frightening). The biggest difference is that buildings that would be straight-up condemned in the US -- like the little pile of rubble to the left here -- are obviously inhabited despite extreme structural problems and missing siding. Turkey has adopted the International Building Code, but it does not get uniformly applied all the way down, and in many cases officials are unwilling to condemn a building if it means poor people will end up on the street. In Istanbul you don't see as many people actually living outdoors as you do in San Francisco. 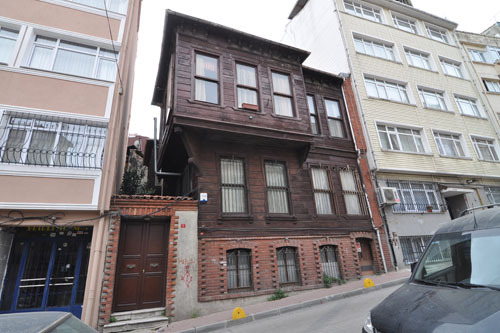 This house on the corner was for sale ("satılık"). 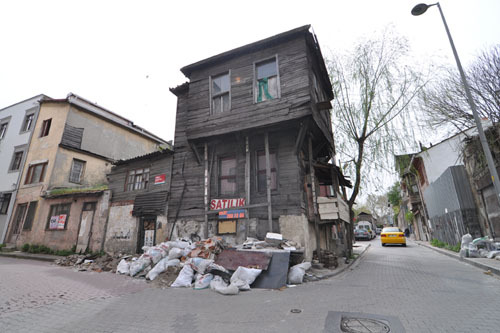 Some brave souls are venturing into these old neighborhoods and repairing and rebuilding the wooden houses, as Turks rediscover that part of their history. 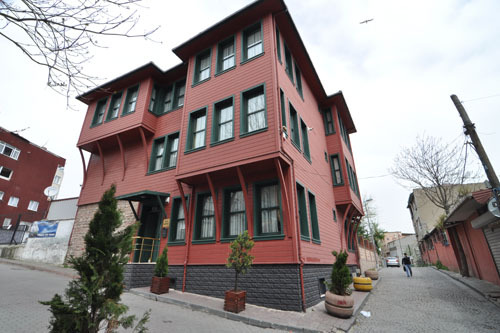 It's an exciting time to be a wooden house in Istanbul. I don't think we're going to be taking on a second renovation project, though. One marginally habitable house is enough for us for now.